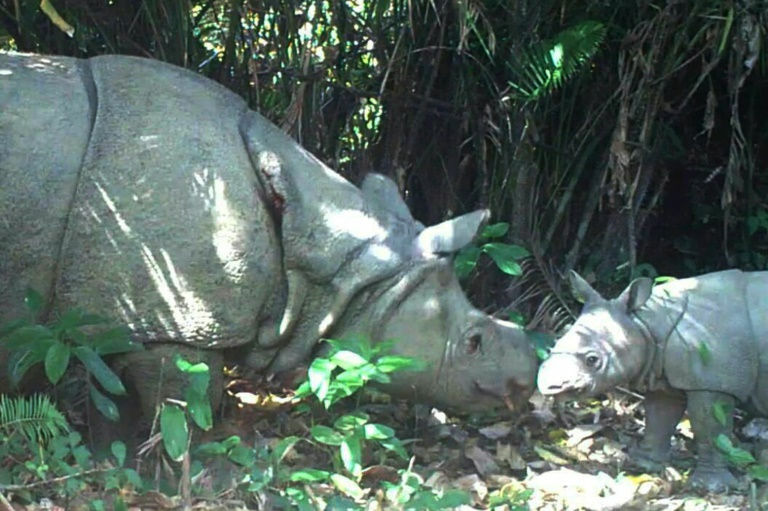 JAKARTA: A Javan rhino has died in Indonesia, the environment ministry said Thursday, bringing the critically endangered mammals closer to extinction with just 60 believed to be still living in the wild. The body of the male rhino was found inside West Java’s Ujung Kulon national park, the creature’s last remaining habitat. Its death was believed to be from old age rather than poaching. The animal has been driven to the brink of extinction as their horns are highly valued in traditional Chinese and Korean medicine, although most countries in the region have banned the trade. “We found it on (Monday) and are now performing an autopsy,” said environment ministry spokesman Djati Witjaksono Hadi. The 40-year-old rhino didn’t had any offspring, he added. Javan and Sumatran rhinos are classified as “critically endangered” by the International Union for Conservation of Nature (IUCN).